Mister Trump tell me quickly please ,..
President Donald Trump‘s latest squabble is over a piece of work he believes he legitimately owns, while the Art Institute of Chicago claims they have the real one and that his is fake. 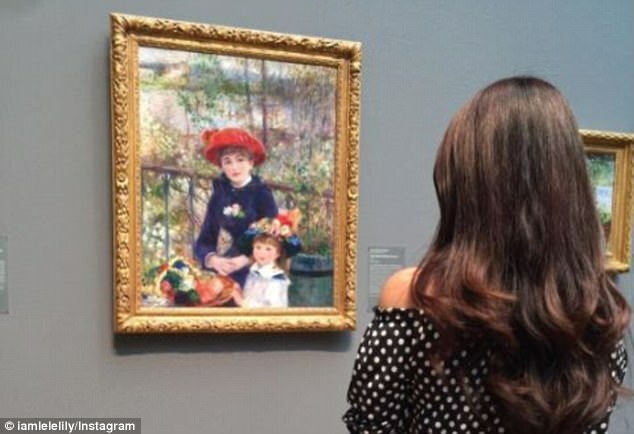 French impressionist Pierre-Auguste Renoir’s Two Sisters (On The Terrace) has supposedly hung in the Art Institute of Chicago since 1933 but Trump asserts his is the real deal. His version hangs in his Trump Tower apartment in New York and has been featured on two recent interviews: the president-elect interview with 60 Minutes and during a Fox News interview with First Lady Melania Trump. If sold for the same rate it sold in 1933, the piece would go for $1,898,607.69.